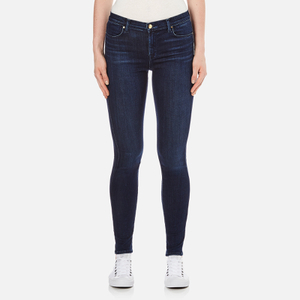 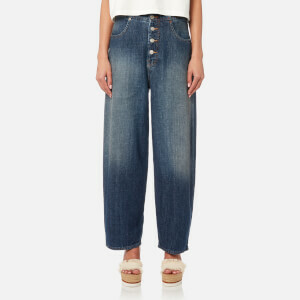 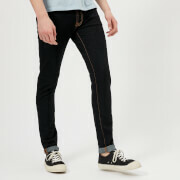 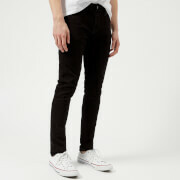 Women's cropped, bootcut jeans from J Brand. 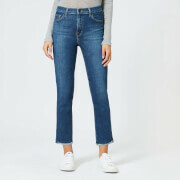 Crafted from the brand's super soft comfort denim with a mid rise, the 'Selena' jeans feature a classic button fastening with zip fly, and have been designed with five pockets for a traditional finish. 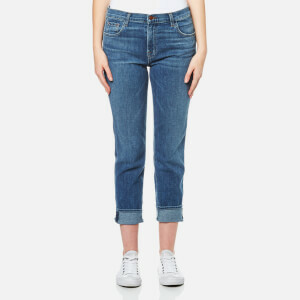 The stretch denim jeans have a cropped, slightly flared leg opening and are accentuated with hand-applied whiskering and abrasions throughout to create a well-loved aesthetic. 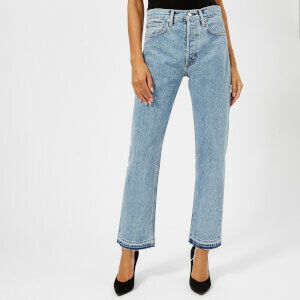 Complete with a flattering V-shaped yoke to the rear.